Premier Polysteel, because of its very high quality standards and superior design and materials, is pleased to provide a twenty year limited warranty on all of its standard products from date of purchase by the original user. Although our limited warranty applies to normal wear and our poly-vinyls are very fade resistant, we cannot warrant against natural fading due to sunlight. This warranty is based upon the product being used as per its originally designed purpose, and specifically excludes any failure that is caused by misuse, neglect, accident, or improper maintenance. Premier Polysteel will repair or replace, on a pro-rated basis, all parts which fail to perform under the circumstances outlined above. All freight and installation charges are to be paid by user. Over forty years ago we decided to try something new. We have been in the poly-vinyl coated metal business ever since! Our methods have progressed with times. The quality built into our outdoor furniture is far superior than other products on the market. Therefore, product durability and a promise of satisfaction are assured. 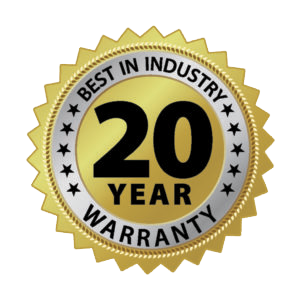 Why Can We Offer a 20 Year Warranty?